Жалбоподателят KPN BV е активен в сектора на кабелните мрежи за телевизионни, широколентови интернет, фиксирани телефонни услуги и мобилни телекомуникационни услуги, по-специално в Нидерландия. Liberty Global plc е международен кабелен оператор, който притежава и експлоатира кабелни мрежи, предлагащи телевизия, широколентов интернет, фиксирана телефония и мобилни телекомуникационни услуги в единадесет държави-членки на Европейския съюз и Швейцария. Г-н Джон Малоун, американски гражданин, притежава най-голямото миноритарно участие в Liberty Global. Ziggo NV притежава и управлява широколентова кабелна мрежа, която обхваща повече от половината от територията на Нидерландия. Това предприятие предоставя цифрови и аналогови кабелни видео, широколентов интернет, мобилни телекомуникации и услуги за цифрова телефония (Voice over Internet Protocol). Ziggo притежава 50% от HBO Nederland. На 10 октомври 2014 г. Комисията приема Решение C (2014) 7241, с което обявява концентрацията, включваща придобиването от Liberty Global на изключителен контрол над Ziggo, за съвместима с вътрешния пазар и със Споразумението за ЕИП (Дело COMP / M.7000 – Liberty Global / Ziggo) (ОВ 2015, C 145, стр. 7) . KPN обжалва решението на три правни основания – явна грешка в преценката относно евентуалните вертикални последици на концентрацията на пазара на pay tv, нарушение на задължението за анализ на евентуалните вертикални антиконкурентни ефекти на пазара на спортни телевизионни канали и явна грешка в преценката относно упражняването на решаващо влияние върху г-н Malone върху Liberty Global. Съдът анализира второто основание – липсата на мотиви – и потвърждава, че обжалваното решение не съдържа достатъчен анализ относно вертикалните ефекти, които биха произтекли от предложената концентрация. В резултат отменя решението на ЕК. In 2014, the European Court of Justice ruled that the “piracy levy”, used in the Netherlands to compensate rightsholders for illicit downloading, was unlawful. In the immediate aftermath, downloading from unauthorized sources was banned. Three years on and illegal downloading is still considered by rightsholders to be a problem that needs to be brought under control. This means that BitTorrent users are the number one target since their activities also involve uploading, something that most courts consider to be a relatively serious offense. 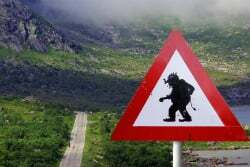 With that in mind, Dutch film distributor Dutch Filmworks (DFW) is preparing a wave of anti-piracy activity that looks set to mimic the copyright-trolling activities of similar outfits all over the world. A recent application to the Dutch Data Protection Authority (Autoriteit Persoonsgegevens), revealed that DFW wishes to combat “the unlawful dissemination of copyright protected works” by monitoring the activities of BitTorrent users. People who are monitored sharing DFW titles (the company says it intends to track people sharing dozens of releases) will get a letter with an offer to settle in advance of being taken to court. Speaking with NOS, DFW CEO Willem Pruijsserts now reveals that the campaign will begin in the autumn. Quite how much DFW will ask for is not yet clear, but Pruijsserts says the Dutch model will be more reasonable than similar schemes underway in other regions. “In Germany, this costs between €800 and €1,000, although we find this a bit excessive. But of course it has to be a deterrent, so it will be more than a tenner or two,” he said. In comments to RTLZ, Pruijsserts confirmed ‘fines’ of at least hundreds of euros. According to documents filed with the Dutch data protection authority, DFW will employ an external German-based tracking company to monitor alleged pirates which will “automatically participate in swarms in which works from DFW are being shared.” The company has been named by RTL Z as German company Excipion, which could be linked to the monitoring outfit Tecxipio, which began as Excipio. In conversation with NOS, Pruijsserts said that “hundreds of thousands” of people watched films like Mechanic: Resurrection without paying. This particular movie is notable for appearing in many piracy cases in the United States. It is one of the titles pursued relentlessly by lawyers acting in concert with notorious copyright-trolling outfit Guardaley. Perhaps the most crucial element moving forward is whether DFW will be able to get ISPs to cooperate in handing over the personal details of allegedly infringing subscribers. 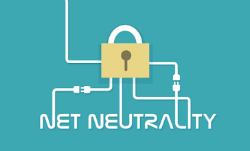 Thus far, ISPs Ziggo and KPN have indicated they won’t do so without a court order, so further legal action will be required for DFW to progress. When DFW’s application for discovery is heard by the court, it will be interesting to see how far the ISPs dig into the anti-piracy scheme. Finding out more about Guardaley, if the company is indeed involved, would be an intriguing approach, especially given the outfit’s tendency to scurry away (1,2) when coming under intense scrutiny. 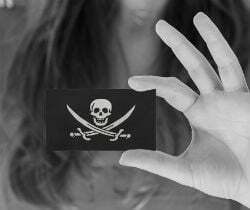 Over the years, the MPAA and RIAA have grabbed hundreds of headlines for their anti-piracy activities but recently their work has been more subtle. The same cannot be said of Dutch anti-piracy group BREIN. BREIN is the most prominent outfit of its type in the Netherlands but it’s not uncommon for its work to be felt way beyond its geographical borders. The group’s report for the first six months of 2017 illustrates that in very clear terms. In its ongoing efforts to reduce piracy on movies, music, TV shows, books and games, BREIN says it carried out 268 investigations during the first two quarters of 2017. That resulted in the takedown of 231 piracy-focused sites and services. They included 45 cyberlocker linking sites, 30 streaming sites and 9 torrent platforms. The last eDonkey site in the Netherlands was among the haul after its operators reached a settlement with BREIN. The anti-piracy outfit reports that nearly all of the sites were operated anonymously so in many instances hosting providers were the ones to pull the plug, at BREIN’s request. 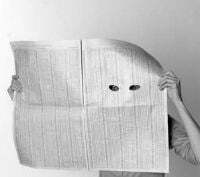 BREIN has also been actively tracking down people who make content available on file-sharing networks. These initial uploaders are considered to be a major part of the problem, so taking them out of the equation is another of BREIN’s goals. In total, 14 major uploaders to torrent, streaming, and Usenet platforms were targeted by BREIN in the first six months of this year, with each given the opportunity to settle out of court or face legal action. Settlements typically involved a cash payment of between 250 and 7,500 euros but in several instances, uploaders were also required to take down the content they had uploaded. In one interesting case, BREIN obtained an ex parte court order against a person running a “live cinema” on Facebook. He later settled with the anti-piracy group for 7,500 euros. BREIN has also been active in a number of other areas. The group says it had almost 693,000 infringing results removed from Google search, pushing its total takedowns to more than 15.8 million. In addition, more than 2,170 listings for infringing content and devices were removed from online marketplaces and seven piracy-focused Facebook groups were taken down. But while all of these actions have an effect locally, it is BREIN’s persistence in important legal cases that have influenced the copyright landscape across Europe. Perhaps the most important case so far is BREIN v Filmspeler, which saw the anti-piracy group go all the way to the European Court of Justice for clarification on the law surrounding so-called “fully loaded” set-top boxes. In a ruling earlier this year, the ECJ not only determined that selling such devices is a breach of copyright law, but also that people streaming content from an illicit source are committing an offense. Although the case began in the Netherlands, its effects will now be felt right across Europe, and that is almost completely down to BREIN. But despite the reach of the ruling, BREIN has already been making good use of the decision locally. 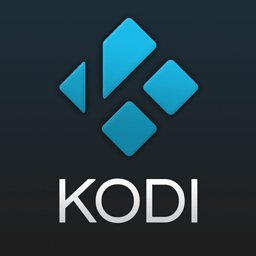 Not only has the operator of the Filmspeler site settled with BREIN “for a substantial amount”, but more than 200 sellers of piracy-configured set-top boxes have ceased trading since the ECJ decision. Some of the providers are the subject of further legal action. 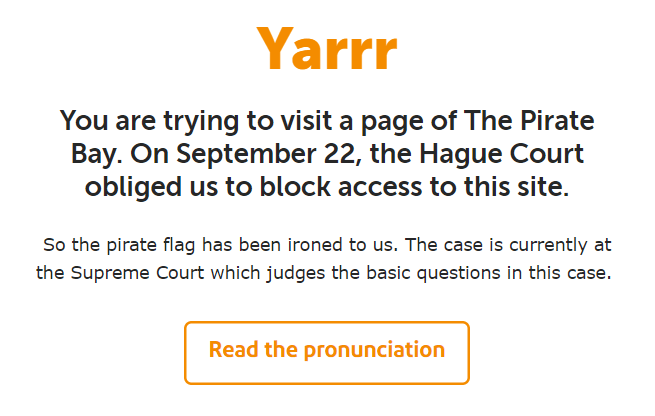 Finally, a notable mention must go to BREIN’s determination to have The Pirate Bay blocked in the Netherlands. The battle against ISPs Ziggo and XS4ALL has been ongoing for seven years and like the Filmspeler case, required the attention of the European Court of Justice. While it’s still not over yet, it seems likely that the Supreme Court will eventually rule in BREIN’s favor. Вчера беше публикувано решението на Съда на ЕС по дело C‑610/15 Stichting Brein срещу Ziggo BV и XS4ALL Internet BV. 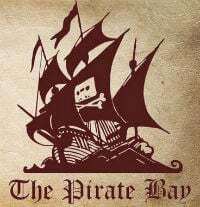 Решението засяга функционирането и достъпа до The Pirate Bay. 9 Ziggo и XS4ALL са доставчици на достъп до интернет. Значителна част от техните абонати ползват платформата за онлайн споделяне TPB, индексатор на BitTorrent файлове. BitTorrent е протокол, чрез който потребителите (наричани „равноправни устройства“ или „peers“) могат да споделят файлове. Съществената характеристика на BitTorrent се състои в това, че файловете, които се споделят, са разделени на малки сегменти, като по този начин отпада необходимостта от централен сървър за съхраняване на тези файлове, което облекчава тежестта на индивидуалните сървъри в процеса на споделянето. За да могат да споделят файлове, потребителите трябва най-напред да свалят специален софтуер, наречен „BitTorrent клиент“, който не се предлага от платформата за онлайн споделяне TPB. Този BitTorrent клиент представлява софтуер, който позволява създаването на торент файлове. 10 Потребителите (наричани „seeders“ [сийдъри]), които желаят да предоставят файл от своя компютър на разположение на други потребители (наричани „leechers“ [лийчъри]), трябва да създадат торент файл чрез своя BitTorrent клиент. Торент файловете препращат към централен сървър (наричан „tracker“ [тракер]), който идентифицира потребители, които могат да споделят конкретен торент файл, както и прилежащия към него медиен файл. Тези торент файлове се качват (upload) от сийдърите (на платформа за онлайн споделяне, каквато е TPB, която след това ги индексира, за да могат те да бъдат намирани от потребителите на платформата за онлайн споделяне и произведенията, към които тези торент файлове препращат, да могат да бъдат сваляни (download) на компютрите на последните на отделни сегменти чрез техния BitTorrent клиент. 11 Често пъти вместо торенти се използват магнитни линкове. Тези линкове идентифицират съдържанието на торента и препращат към него чрез цифров отпечатък. 12 Голямото мнозинство от предлаганите на платформата за онлайн споделяне TPB торент файлове препращат към произведения, които са обект на закрила от авторски права, без да е дадено разрешение от носителите на авторското право на администраторите и на потребителите на тази платформа за извършване на действията по споделянето. 13 Главното искане на Stichting Brein в производството пред националната юрисдикция е да разпореди на Ziggo и на XS4ALL да блокират имената на домейни и интернет адресите на платформата за онлайн споделяне TPB с цел да се предотврати възможността за ползване на услугите на тези доставчици на достъп до интернет за нарушаване на авторското и сродните му права на носителите на правата, чиито интереси защитава Stichting Brein. обстоятелството, че операторът на уебсайт индексира файлове, съдържащи закриляни с авторско право произведения, които се предлагат за споделяне в peer-to-peer мрежа, и предоставя търсачка, с което позволява тези файлове да бъдат намирани, представлява публично разгласяване по смисъла на член 3, параграф 1 от Директива 2001/29, когато операторът знае, че дадено произведение е предоставено на разположение в мрежата без съгласието на носителите на авторските права, но не предприема действия за блокиране на достъпа до това произведение. Понятието „публично разгласяване“ обединява два кумулативни елемента, а именно „акт на разгласяване“ на произведение и „публичност“ на разгласяването (решение от 26 април 2017 г., Stichting Brein, C‑527/15, EU:C:2017:300, т. 29 и цитираната съдебна практика). За да се прецени дали даден ползвател извършва акт на публично разгласяване по смисъла на член 3, параграф 1 от Директива 2001/29, трябва да се отчетат няколко допълнителни критерия, които не са самостоятелни и са взаимозависими. ключовата роля на потребителя и съзнателния характер на неговата намеса. Всъщност този потребител извършва акт на разгласяване, когато, като съзнава напълно последиците от своето поведение, се намесва, за да предостави на клиентите си достъп до произведение, което е обект на закрила, и по-специално когато без неговата намеса тези клиенти по принцип не биха могли да се ползват от разпространеното произведение. (вж. в този смисъл решение от 26 април 2017 г., Stichting Brein, C‑527/15, EU:C:2017:300, т. 31 и цитираната съдебна практика). понятието „публично“ се отнася до неопределен брой потенциални адресати и освен това предполага наличие на доста голям брой лица (решение от 26 април 2017 г., Stichting Brein, C‑527/15, EU:C:2017:300, т. 32 и цитираната съдебна практика). закриляното произведение трябва да бъде разгласено, като се използва специфичен технически способ, различен от използваните дотогава, или, ако не е използван такъв способ — пред „нова публика“, тоест публика, която не е била вече взета предвид от носителите на авторското право при даването на разрешение за първоначалното публично разгласяване на произведението им (решение от 26 април 2017 г., Stichting Brein, C‑527/15, EU:C:2017:300, т. 33 и цитираната съдебна практика). дали публичното разгласяване е извършено с цел печалба (решение от 26 април 2017 г., Stichting Brein, C‑527/15, EU:C:2017:300, т. 34 и цитираната съдебна практика). 42 В случая, видно от акта за преюдициално запитване, значителна част от абонатите на Ziggo и XS4ALL са сваляли медийни файлове чрез платформата за онлайн споделяне TPB. Както следва и от представените пред Съда становища, тази платформа се използва от значителен брой лица, като администраторите от TPB съобщават на своята платформа за онлайн споделяне за десетки милиони „потребители“. В това отношение разглежданото в главното производство разгласяване се отнася най-малкото до всички потребители на тази платформа. Тези потребители могат да имат достъп във всеки момент и едновременно до защитените произведения, които са споделени посредством посочената платформа. Следователно това разгласяване се отнася до неопределен брой потенциални адресати и предполага наличие на голям брой лица (вж. в този смисъл решение от 26 април 2017 г., Stichting Brein, C‑527/15, EU:C:2017:300, т. 45 и цитираната съдебна практика). 43 От това следва, че с разгласяване като разглежданото в главното производство закриляни произведения действително се разгласяват „публично“ по смисъла на член 3, параграф 1 от Директива 2001/29. 44 Освен това, що се отнася до въпроса дали тези произведения са разгласяват на „нова“ публика по смисъла на съдебната практика, цитирана в точка 28 от настоящото съдебно решение, следва да се посочи, че в решението си от 13 февруари 2014 г., Svensson и др. (C‑466/12, EU:C:2014:76, т. 24 и 31), както и в определението си от 21 октомври 2014 г., BestWater International (C‑348/13, EU:C:2014:2315, т. 14) Съдът е приел, че това е публика, която носителите на авторските права не са имали предвид, когато са дали разрешение за първоначалното разгласяване. 45 В случая, видно от становищата, представени пред Съда, от една страна, администраторите на платформата за онлайн споделяне TPB са знаели, че тази платформа, която предоставят на разположение на потребителите и която администрират, дава достъп до произведения, публикувани без разрешение на носителите на правата, и от друга страна, че същите администратори изразяват изрично в блоговете и форумите на тази платформа своята цел да предоставят закриляните произведения на разположение на потребителите и поощряват последните да реализират копия от тези произведения. Във всички случаи, видно от акта за преюдициално запитване, администраторите на онлайн платформата TPB не може да не са знаели, че тази платформа дава достъп до произведения, публикувани без разрешението на носителите на правата, с оглед на обстоятелството, което се подчертава изрично от запитващата юрисдикция, че голяма част от торент файловете, които се намират на платформата за онлайн споделяне TPB, препращат към произведения, публикувани без разрешението на носителите на правата. При тези обстоятелства следва да се приеме, че е налице разгласяване пред „нова публика“ (вж. в този смисъл решение от 26 април 2017 г., Stichting Brein, C‑527/15, EU:C:2017:300, т. 50). 46 От друга страна, не може да се оспори, че предоставянето на разположение и администрирането на платформа за онлайн споделяне като разглежданата в главното производство се извършва с цел да се извлече печалба, тъй като тази платформа генерира, видно от становищата, представени пред Съда, значителни приходи от реклама. 47 Вследствие на това трябва да се приеме, че предоставянето на разположение и администрирането на платформа за онлайн споделяне като разглежданата в главното производство, съставлява „публично разгласяване“ по смисъла на член 3, параграф 1 от Директива 2001/29. 48 С оглед на всички изложени съображения на първия въпрос следва да се отговори, че понятието „публично разгласяване“ трябва да се тълкува в смисъл, че в неговия обхват попада предоставянето на разположение и администрирането в интернет на платформа за споделяне, която чрез индексиране на метаданните относно закриляните произведения и с предлагането на търсачка позволява на потребителите на платформата да намират тези произведения и да ги споделят в рамките на мрежа с равноправен достъп (peer-to-peer). Масовите коментари са, че решението засилва позициите на търсещите блокиране организации. Стана известно заключението на Генералния адвокат Szpunar по дело C‑610/15 Stichting Brein срещу Ziggo BV и XS4ALL Internet BV. В това дело Съдът трябва да конкретизира правните основания и обхвата на евентуалната отговорност за нарушенията, извършени от уебсайтове като The Pirate Bay („TPB“). TPB е един от най-големите и най-известни уебсайтове за споделяне на файлове, съдържащи музикални и кинематографични произведения. Споделянето е безплатно и при повечето от тези произведения — в нарушение на авторските права. Генералният адвокат напомня скорошни решения на Съда на ЕС, свързани с правото на публично разгласяване на произведения в интернет – Svensson и GS Media, ново е и решението Filmspeler – тези дела се отнасят до вторичното разгласяване на вече достъпни в интернет произведения. Ответниците в главното производство Ziggo BV и XS4ALL Internet BV са дружества, учредени по нидерландското право, чиято дейност е доставка на достъп до интернет на потребители. Ищецът Stichting Brein представлява носителите на авторски права. Stichting Brein иска да се разпореди на Ziggo и на XS4ALL да блокират достъпа на получателите на техните услуги до интернет адресите на уебсайта TPB, който е торент индексатор за споделяне на файлове на принципа peer-to-peer. Искането се основава на обстоятелството, че получателите на услугите на ответниците в главното производство използват посочените услуги чрез този уебсайт индексатор и така извършват масови нарушения на авторските права, като споделят помежду си файлове, в които се съдържат закриляни обекти (главно музикални и кинематографични произведения), без разрешението на носителите на тези права. В т.т.19-29 Генералният адвокат обяснява функционирането на peer-to-peer мрежите. Според тази картина сайтове като TPB снабдяват ползвателите с карти за намиране на незаконно съдържание. 53. Следователно намесата на тези оператори отговаря на изведените в съдебната практика критерии за необходим и съзнателен характер. Поради това според мен следва да се приеме, че тези оператори, едновременно и съвместно с потребителите на мрежата, са също така инициатори на предоставянето на публично разположение на споделяните в мрежата произведения без съгласието на носителите на авторските права, когато съзнават, че това е неправомерно, но не предприемат действия за блокиране на достъпа до тези произведения. 54. Ето защо на първия преюдициален въпрос следва да се отговори, че обстоятелството, че операторът на уебсайт индексира файлове, съдържащи закриляни с авторско право произведения, които се предлагат за споделяне в peer-to-peer мрежа, и предоставя търсачка, с което позволява тези файлове да бъдат намирани, представлява публично разгласяване по смисъла на член 3, параграф 1 от Директива 2001/29, когато операторът знае, че дадено произведение е предоставено на разположение в мрежата без съгласието на носителите на авторските права, но не предприема действия за блокиране на достъпа до това произведение. Според ГА преценката за законосъобразност на такава мярка трябва да се прави за всеки отделен случай, като се анализира пропорционалността между, от една страна, мярката и произтичащото от нея лишаване от достъп до информация, и от друга страна, значението и тежестта на нарушенията на авторските права, извършени чрез този уебсайт. Предприетите мерки не трябва да лишават неоснователно интернет потребителите от възможността за правомерен достъп до предоставяната информация. Все пак е несъмнено, че мярка за блокиране на достъп до уебсайт лишава интернет потребителите от достъп до наличната информация, независимо дали тя е правомерна или не. Окончателната преценка за пропорционалност на предвидената мярка е задача на националните юрисдикции. Освен това, мярката трябва да има за резултат да предотврати или поне да направи трудно осъществими неразрешените посещения на закриляни обекти и в значителна степен да разубеждава интернет потребителите, които ползват услугите на адресата на разпореждането, да посещават тези обекти, предоставени на тяхно разположение в нарушение на авторските права. С други думи, мярката трябва да има за цел да се преустанови и избегне нарушаване на авторски права и при преследването на тази цел тя трябва да бъде ефективна в разумни граници.